Homewood is unique in its ability to support your patients, your clients and organizations from end to end with respect to the workplace mental health continuum. With our deep capacity to provide treatment, we are able offer a full range of intensive services for even the most complex cases. Homewood has built programs to support not only your client or patient, but also family members as they support their loved one going through a Homewood treatment program. Treatment plans are always tailored to the particular needs of each case. With a unique ability to help people on their path to mental and physical wellness through solution-focused and evidence-based treatment programs—we are providing your clients and patients with a breadth and depth of services to help them return to optimal mental health, as well as the support they need to identify their options and achieve better outcomes. Treatment options include a full range of community-based services that can vary in frequency and intensity while addressing even serious mental health issues. Patients and clients access these services while maintaining their routines, yet still working to address significant barriers to good health and obstacles to returning to work. When intensive treatments conclude, our priority is to sustain patient or client recovery by providing aftercare programs and resources. 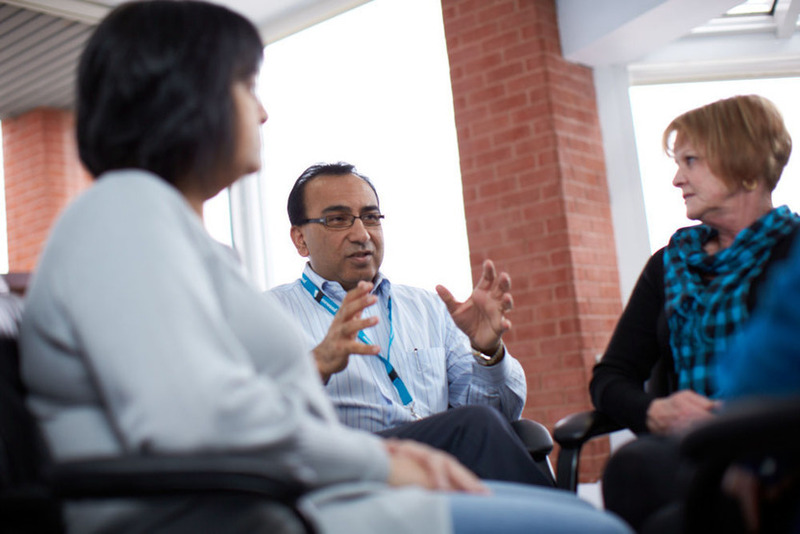 Our recovery management professionals evaluate results, provide support and act as information conduits in collaboration with their employer, healthcare professionals and clinical staff. For family members who want to understand and contribute to the treatment and recovery process. Family program content is customized according to the loved one��s specific treatment, and also addresses the impact complex mental health challenges can have on affected families, loved ones and caregivers. The CPC is a specific inpatient program aimed at minimizing symptoms related to chronic mental illness and helping individuals reach their maximum level of functioning.